If you buy this lens it will come with a lens hood, whose model name is "EW-79B II". Text from Canon: "Normal lens featuring tilt and shift movements. The floating system and rear focusing give sharp and stable delineation from 0.4 m to infinity. 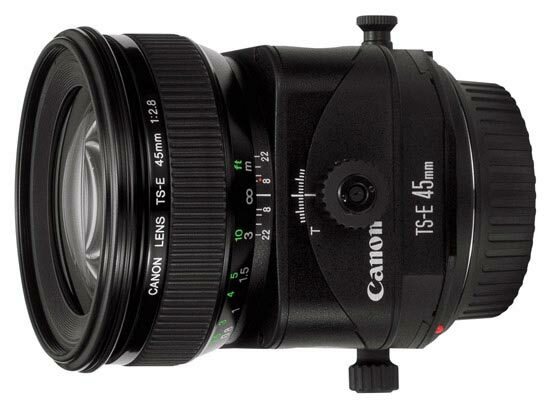 The 45mm focal length is deal for obtaining a natural-looking perspective.